﻿ Deportivo 2-6 Real Madrid. Plan B works like a charm! 26.04.2017 » Deportivo 2-6 Real Madrid. Plan B works like a charm! 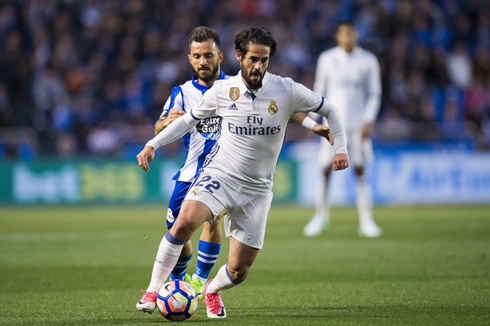 Real Madrid got back to the winning track this Wednesday evening, after visiting and beating Deportivo by 6-2. With several key players either benched or resting at home, Zinedine Zidane saw his plan B working to perfection. The best way to recover from a defeat is usually playing right after and get back to winning ways. That's what Real Madrid did tonight, as they travelled to the Riazor and beat Deportivo by 6-2. But it wasn't like Zidane went into this game with his strongest eleven.. not even close! The French manager decided to rotate several of his key players ahead of the decisive stages of season, including Cristiano Ronaldo, who wasn't even on the bench this evening. It would be Real Madrid's most in-form player in the past weeks, Isco, who stepped up again and led a charge backed up by Kovacic, James Rodríguez and Asensio. The Merengues played some beautiful football at the Riazor and they've now regained a bit more confidence for the challenges ahead. After the heartbreak of the Clasico, all eyes were on the Riazor today. Barcelona had already won their earlier match at home to Osasuna 7-1, putting all the pressure on Real Madrid against Deportivo. And the youngsters responded better than anyone could have hoped, winning 6-2 and completely outplaying their opponents. That was the thing about today, it wasn't just about the score, it was about the magic on the pitch. Madrid moved as a unit today, they interchanged well and everyone was involved. 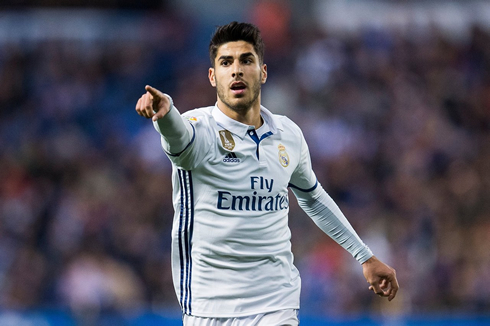 The midfield worked brilliantly together, as Isco, James, Asensio and Kovacic put on a show with their passing and dribbling. Everything was in constant motion and the fluidity was amazing. 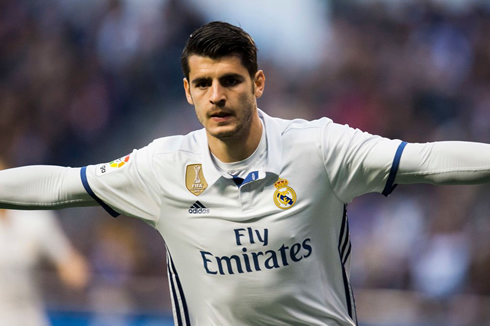 Morata opened the scoring early on inside the 1st minute of the game and the team never looked back. It could have been 5-0 in the first half, if not for some incredible keeping by German Lux in goal for Deportivo. Isco was again the star of the show, proving why he should have started vs Barcelona and why he should possibly be the starter from now on. 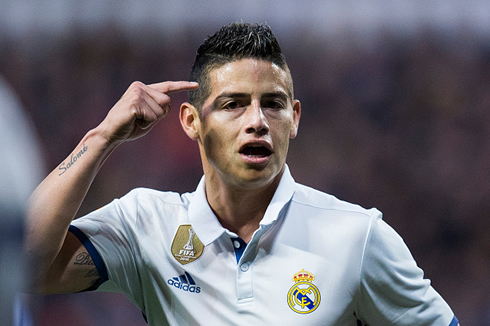 After Morata, the goals just flowed through James, Isco, Lucas Vasquez - it seemed like everyone was in on the act. It was such a joy to watch and in stark contrast to the more static performances we've seen as of late. The second half saw more of the same, as the midfield looked incredibly cohesive. As the goals flowed, the selflessness was clear to see and it was an incredible match all around. The game itself will leave Zidane with a lot of decisions ahead of the Valencia game this weekend, but what an embarrassment of riches we have at this club. Cristiano Ronaldo next game is a La Liga fixture, on April 29 of 2017 against Valencia. You can watch Juventus live stream, Real Madrid vs Valencia, Osasuna vs Barcelona, Manchester City vs Manchester United, Atalanta vs Juventus, and Bayer Leverkusen vs Schalke, all matches provided from our soccer and football game pages.